The reputable timeshare company The Villa Group has five resorts in Mexico with the name Villa del Palmar Timeshare: Villa del Palmar Cabo San Lucas, Villa del Palmar Cancun, Villa del Palmar Puerto Vallarta, Villa del Palmar Flamingos and Villa del Palmar Loreto, all of which offer timeshare properties. These resorts are in addition to a number of other luxury resort complexes. The celebrated Villa del Palmar timeshare resorts offer first class services and amenities in the best vacation destinations in Mexico. Each resort boasts luxurious installations with grand swimming pools, beach access, spa and beauty services, kids club and great restaurants. As guests you can take an all inclusive package or room only plan and Villa del Palmar timeshare owners can buy all inclusive passes should they so wish. All of the Villa del Palmar resorts are popular timeshare destinations, and offer guests the chance to attend a timeshare presentation, which are not obligatory. 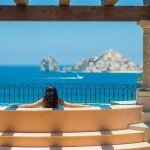 Impressed by their experience at the resorts it is very common for guests to invest in a timeshare at Villa del Palmar. Once you have decided to buy a timeshare at Villa del Palmar, you will be asked to sign a contract that will give you rights to your timeshare for 25 years. It is important to note that you do not have to sign the contract if you have no intention to buy a property; in fact, if your intention is not to honor the contract, you should not sign. In the moment that the contract is signed, you are bound to your agreement and cancellations and refunds will be time consuming, if at all successful. Therefore, it is very necessary for you to read your timeshare contract before you sign. After the 7 days cooling off period you will not be able to cancel your timeshare contract unless you are able to prove misrepresentation or a case of obvious fraud. You would also need to lawyer to help you cancel your timeshare agreement, which can be very costly. In the case that you are unhappy with your timeshare contract or would like to cancel your Villa del Palmar timeshare, the best advice would be to contact The Villa Group Timeshare directly to explain your particular situation. It may be that the company can clarify your doubts and you may therefore decide to keep your timeshare. If you feel that you have been subject to fraud or lies, it is imperative that your tell someone at The Villa Group. The Villa Group Timeshare expects very high standards from their sales team and therefore any misrepresentation should be reported to a senior member of staff at The Villa Group so that they can maintain their high standards and impeccable reputation. Share the post "Cancel Villa del Palmar Timeshare Contract"
Timeshare ownership is one of the fastest-growing segments of the travel industry, and although people joke on how horrible investments they are, there are many people who still keep paying lots of money for them. According to ARDA (American Resort Development Association), in 2013, and with 5300 resorts in 108 countries, the timeshare industry generated over $45 billion dollars. On the other hand, timeshares do not have a great reputation. Thousands of vacationers around the world have become victims of timeshare scams, and the figure continues to rise every year. If you are a timeshare properties buyer, and you feel you have been scammed with your purchase, there is a reliable solution to get out of the deal. Timeshare cancellation is the way to go to finally cut every string attached to the resort. You can’t cancel after the cooling-off period, so not sure what Jessica Bratz is referring to, perhaps she is talking about how to cancel a Villa del Palmar timeshare contract during the cooling-off period?? Any company offering to cancel a timeshare after this time period is probably a scam. You should contact your timeshare company first before going anywhere near a timeshare cancellation company to avoid a scam.